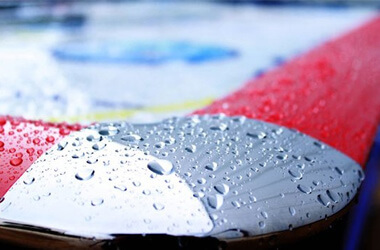 Air hockey is a long-standing arcade favourite, and with a huge range of home tables now available, even more people are honing their skills and learning more about what is arguably one of the most exciting and exhilarating table games out there. For those who are serious about getting into the game, it’s important to know your tools: the pucks and pushers that lead the majority of the match. Air hockey is unique in that the puck essentially becomes an extension of your hand, leaving little room for error if your aim or reflexes aren’t quite right – so having good equipment is essential. Here we’ll go over the different considerations that come into play when buying your pucks and pushers – take a look, and drop us a tweet at @libertygames if you have any questions or comments! Pushers are usually 95mm in diameter, but we recommend you go for a 75mm model if you have a 5ft table, as this will maintain the challenge and require the same level of dexterity across the table. Most pucks and pushers are made from high-grade moulded plastic, which is light enough to pick up speed and be carried by the flow of the table. 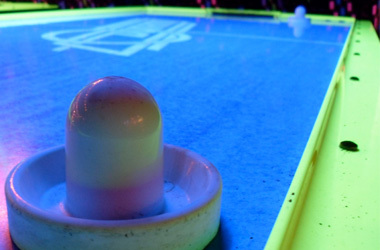 If you’re playing at home, you might find it useful to look out for “low noise” pucks – these are made from a slightly softer plastic, making them a little springier to play with, but without the clattering noise we associate with the arcade tables! 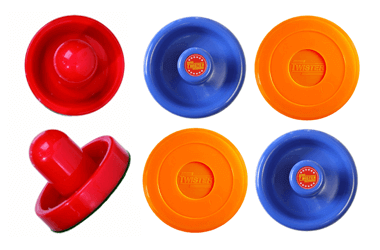 Air hockey pucks and pushers come in all sorts of different colours and combinations, depending on which brand you buy from and whether you buy individual packs or commercial sets. There are actually two types of pusher, or “mallet”; the most common are the sombrero-like ones you’ll see in our store, with a comfortable handle to grip as you play. Less common are the “flat-tops”, which have a smaller handle, and no rising lip around the diameter, making them a little lighter. If you really want to play like the pros, remember that the only USAA-approved colours for pucks are red, yellow and green – but of course, games like Pac-Man Smash have taken puck colours to a whole new level! Sales Executive at Liberty Games. Loves old arcades & classic video games. Has completed House of the Dead 2 with one eye closed. Alan sees the world in vector graphics and hears in 8-bit. Still refuses to believe that Flynn's Arcade isn't a real place. Outdoor Air Hockey Table? You Bet!